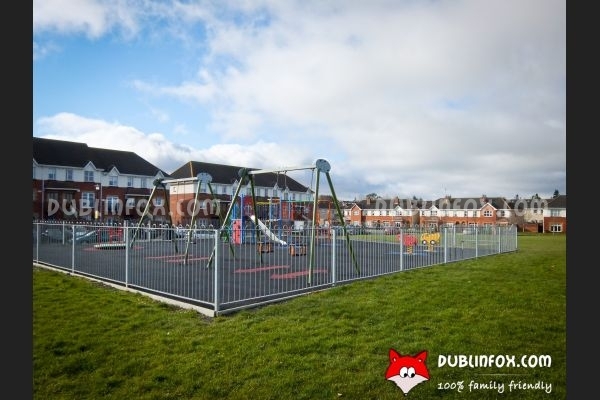 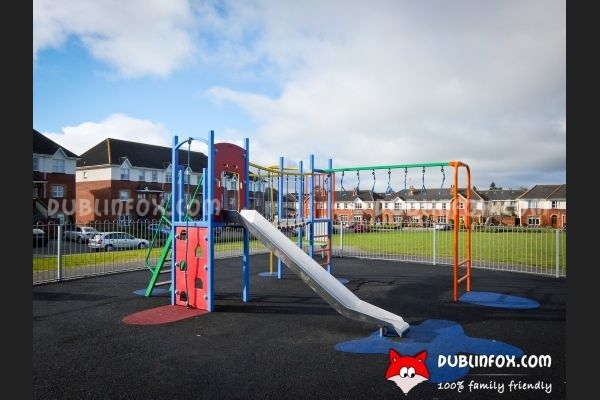 This little playground is a basic, rather "simple" one surrounded by quiet housing estates. 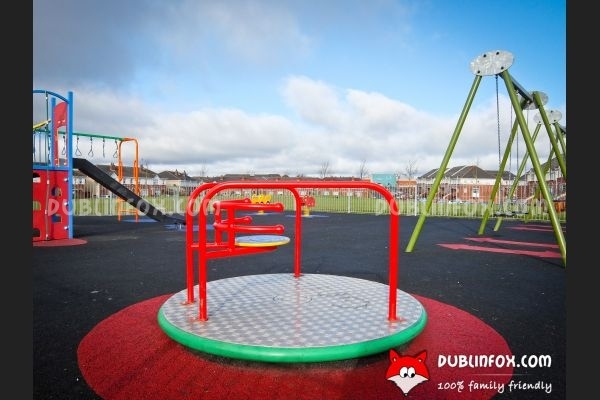 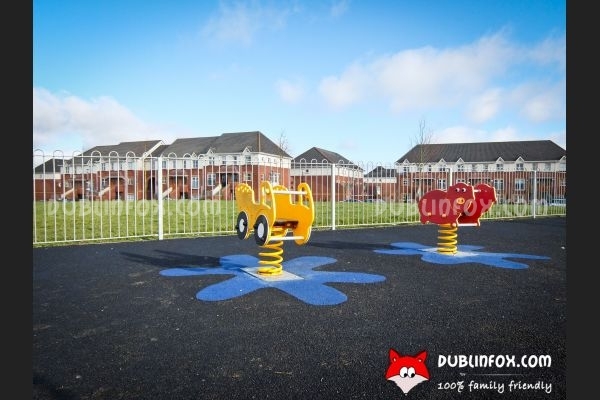 For toddlers, there are two springers, two baby swings and a roundabout swing, while the multi-play unit with the slide and the two "normal" swings are suitable for kids over 3-4. 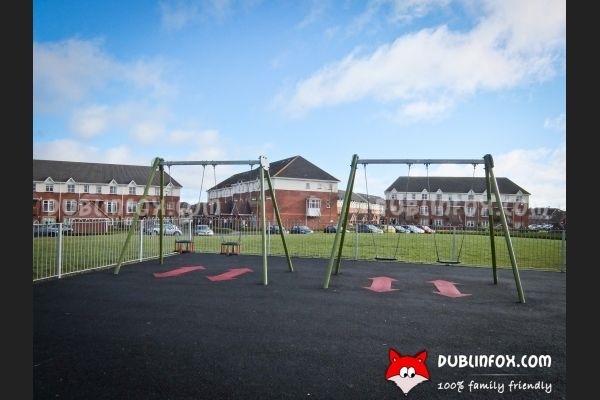 When we visited the place, on a Saturday morning, it was very quiet, but I suppose after 10-11 it gets livelier.